The World Wide Web has become a major part of the computer industry and is quickly becoming a part of everyday life. If you’re in business, any business, a Web presence is seen as a necessity, even if you don’t think anyone will ever use it. 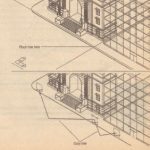 But the Web offers AutoCAD users some real, practical benefits through its ability to publish drawings and other documents online. AutoCAD gives you tools that allow you to post drawings on the Web that others can view and download. In the architectural or engineering construction (AEC) industry in particular-this can mean easier access to documents needed by contractors, engineers, cost estimators, and others involved in the design, bidding, and construction of architectural projects. Suppliers of products can post symbols libraries of their products or even 3D solid models. 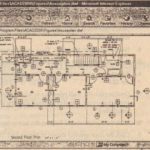 in this section, you’ll learn about the tools AutoCAD provides for publishing and accessing drawings on the Web. 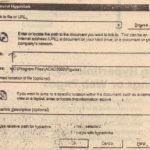 This section assumes some knowledge on your part of the HTML format used to create Web pages, and a basic familiarity with browsing the Web and using FTP sites. First, you’ll learn how to create a Web-viewable drawing. 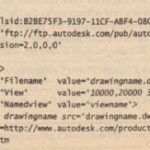 AutoCAD users have been looking for ways to publish their drawings on the Web for some time. The earlier efforts involved capturing bitmap images of drawings and adding them to Web pages. While this is fairly simple to do, this method allowed for only the crudest of images to be displayed. Drawings had to be limited in size and Solution to make them easily accessible. If you wanted to add URL links (clickable areas on an image that open other documents), you had to delve into the inner workings of Web page design. Fortunately, Autodesk has come up with the DWF drawing file format. DWF allows you to easily add vector format images to your Web pages. These images can be viewed using the same pan and zoom tools available in AutoCAD, thereby allowing greater detail to be presented. In addition, you can embed URL links that can open other documents with a single mouse click. These links can be attached to objects or areas in the drawing. In most cases, you will want to create a Web-viewable drawing file that looks similar to your printed output. You can think of your DWF files as plot that you can post on the Web. So to create a DWF file, you go through the AutoCAD plot system. The following exercise shows you exactly what to do. 1. Open the Plan.dwg file in AutoCAD. 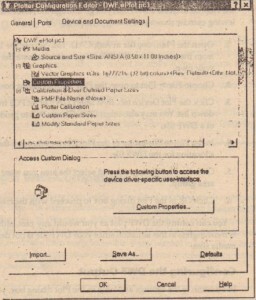 You can use the Ua-plan.dwg file from the companion CD-ROM if you didn’t create the Pl an. dwg file on your own. 2. Choose File >- Plot to open the Plot Settings dialog box. 3. Click the Plot Device tab, then select DWF Plot PC3 from the Name drop down list. You may also select DWF Classic PC3 to produce an earlier version of a DWF file. 4. In the Plot to File group of the Plot Device tab, enter the filename and select a location for the DWF file. 5. Click the Plot Settings tab and select the area you want to plot from the Plot area group. 6. Click OK in the Plot dialog box to proceed with the creation of the DWF file. You can control the DWF plot as you would any plot, although the sheet size is meaningless in this situation since your DWF file is not dependant on a fixed media size. In addition to the settings available in the Plot dialog box, you can make some special configuration adjustments to the DWF plotter configuration file. Here is where to find those configuration settings. 1. Choose File > Page Setup, then in the Page Setup dialog box, select the Plot Device tab. 2. Make sure the DWF Plot PC3 or the DWF Classic PC3 configuration file is listed in the Name list box. 3. Click the Properties button to the right of the Plotter Configuration Name drop-down list. The Plotter Configuration Editor appears. 4. Make sure the Device and Document Settings tab is selected, then click the Custom Properties listing in the dialog box. 5. Click the Custom Properties button that appears in the lower half of the dialog box. The DWF Properties dialog box appears. 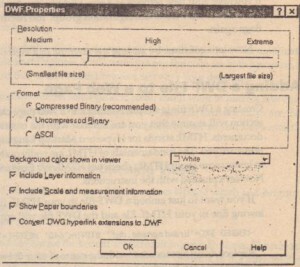 In this dialog box, you can set the resolution, format, and background color and paper boundary for your DWF file. You can also specify whether to include layer and scale information or whether you want to include any hyperlinks from the source drawing. 6. Click OK after making your settings. The Plotter Configuration Editor dialog box reappears. Once you make the custom properties settings, you can save any new settings under the DWF ePlot.PC3 file, or create a new DWF PC3 plot configuration file. To save any setting changes you have made, click the Save As button in the Plotter Configuration Editor dialog box, then select the PC3 file you want to save the settings to. 7. Click OK in the Plotter Configuration Editor to return to the Page Setup dialog box. 8. Click OK to exit the Page Setup dialog box. Once you’ve made your custom configuration settings in step 5, you needn’t open the Plotter Configuration Editor dialog box again the next time you plot a DWF file, If you save your new settings as a new PC3 file, you can select it from the File drop-down list of the Plotter Configuration group. You needn’t re-enter the custom settings again. Now let’s continue by adding the .dwf file to a Web page file.